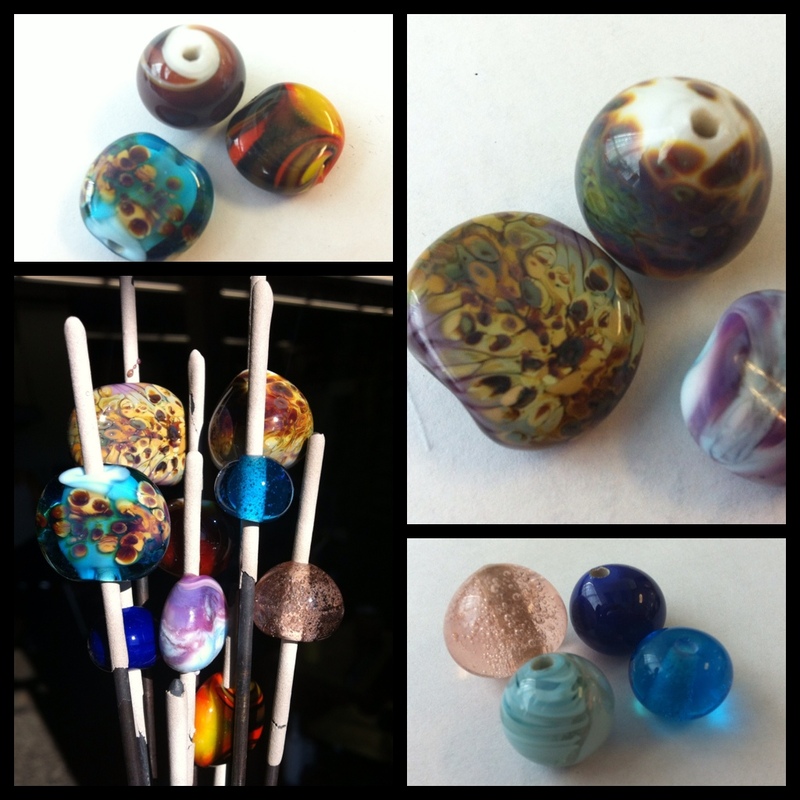 Today’s photo is of my first attempt at making glass beads. I posted in May about my first class in glass sculpting and about my nervousness and anxiety in trying new things. And, how much I am loving working with glass. Now, into my second course and contemplating joining the glass studio – me, an artist?! – I can feel myself relaxing into the flow. In the first class, I focused a lot on following directions exactly from the instructor and trying to make each piece perfect. Now, as I get a better feeling for the glass and the colours, I am letting each piece take shape as it wills. More of a partnership between me, the glass and wherever inspiration comes from. This entry was posted in anxiety, new activities, perfectionism and tagged glass by WendyA. Bookmark the permalink.